Our top selling short, you can expect comfort all summer long when wearing these. 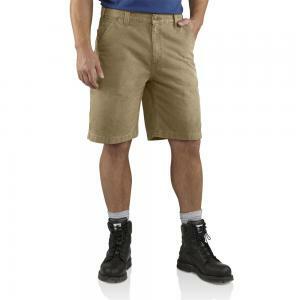 Featuring multiple tool pockets, this short sits at the waist and has a mid-length inseam. Great product, as with all Carhartt gear I've owned. 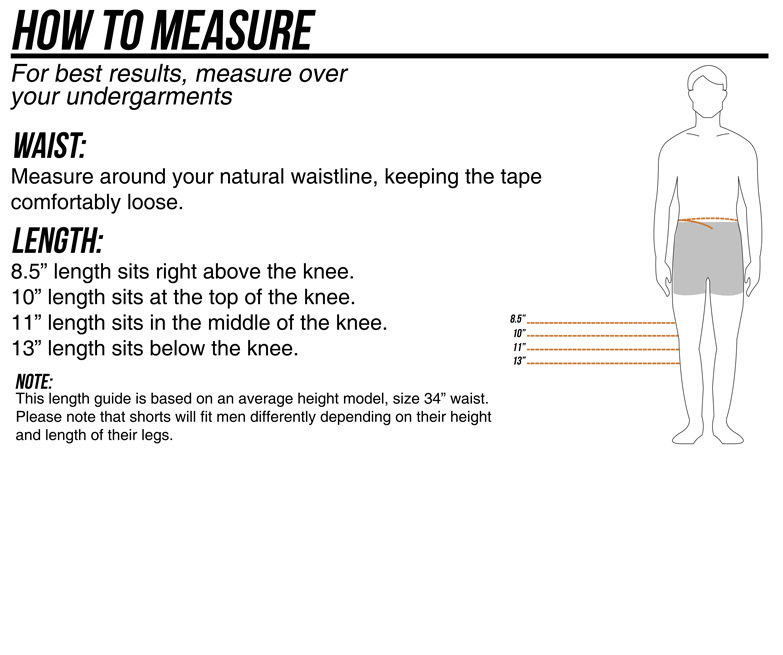 I especially like the longer length of the 10" mid seam. And Carhartt stands behind their product, which sadly is rare now. All of my work jeans and shorts are Carhartt as they've been for over 20 yrs now. Rarely have I ever had an issue, but when I have Carhartt has replaced them with out hassle. This is my first time shopping through Dungarees but I have to say that I'm happy with their service, selection and pricing. They had what I wanted in the size I need, shipped them quickly. A pleasure doing business with them. These shorts run fairly small. I had to order 2 sizes larger. Other than that they are a very nice quality made and comfortable short with lots of pocket storage.Dealing with Dungarees.net was awesome to say the least. I would not hesitate to buy from them again. Thank you. The search has ended !! 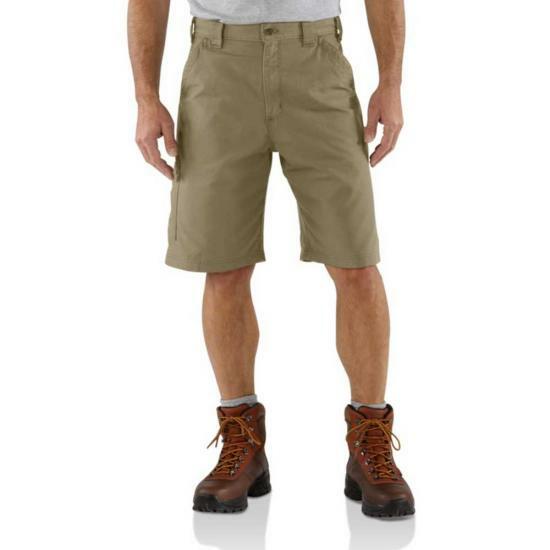 Theses shorts were great , the fit was almost perfect and the deep pockets were what I needed for work. My wife says they wash well and come out of the dryer looking fresh. What more can you ask for, Thanks for producing a great product !!!! I work in the construction field and these shorts have everything I need. Good quality, tool pockets and very comfortable. comfortable, well fit, long lasting. Quality product, fits welland hold up to work & washing. But I like the old style better! I have been wearing their traditional washed duck shorts for about ten years. The new design is not an improvement for me. It rides lower and tighter than the traditional washed duck work short. The quality is still there, and the quality of the color may be better, but I will stick with the old style as long as possible. I bought these in my usual 34. I am 6' tall and 210 lbs. A thinner taller guy may prefer these. I would market them as "tall."